I promised you a little help with fabric choices for the new Liesl + Co patterns, so here we go! If you don’t live near a good apparel fabric store, I know it can be frustrating to find good fabrics. That’s one of the reasons I like Mood Fabrics. 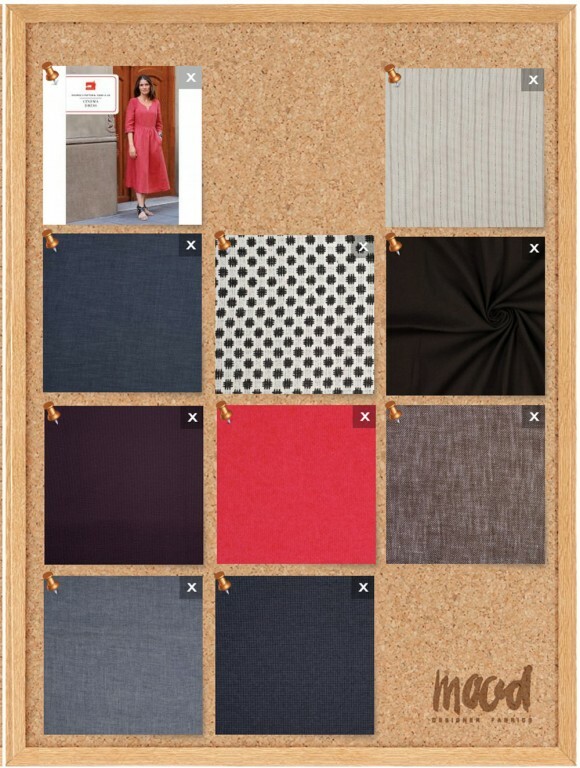 They have a wide selection of good quality fabrics available for purchase on-line. And quite honestly, it can be overwhelming to walk into the physical Mood store here in New York. I’ve seen plenty of first-time visitors completely freeze up with all the options. So it’s also nice that the selection on the website is smaller and more curated than the store itself. 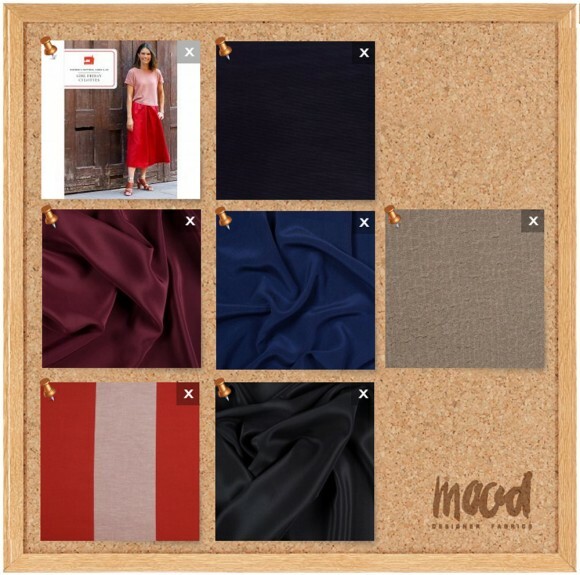 I sometimes shop on their website just to save myself a trip, and you can order swatches beforehand, which helps a lot if you’re not sure about a fabric. So here are some of my fabric suggestions for each of the patterns. 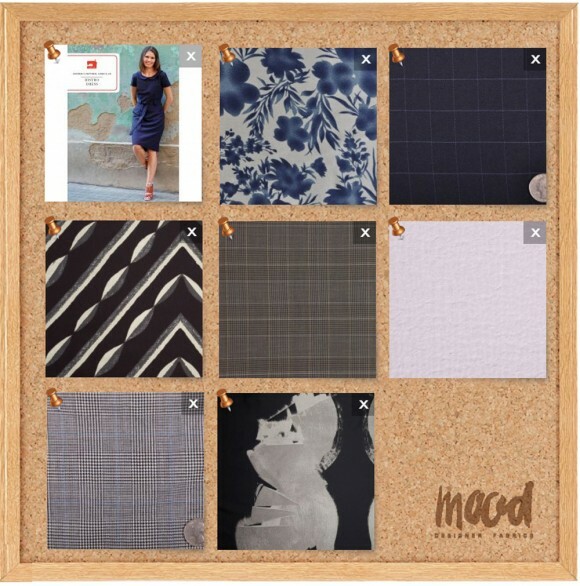 For each of these boards, click on the image itself to be taken to that swatch board at the Mood website. Once you’re there you can put a check in the box next to “Show Product Info” to view the details and purchase the fabrics or swatches. Let’s start with the Cinema Dress, since we have the sew-along starting on Monday. Wouldn’t it be fun to use that dobby check as the yoke, with a solid black for the rest of the dress? I picked a variety of fabrics so you can sew for any season: wool, flannel, corduroy, and linen. You’ll see that one of my choices is a denim-look linen because I think this dress would look amazing in denim or chambray. Next, my favorite pattern, the Girl Friday Culottes. I’m having so much fun wearing this style this fall, and I’m seeing culottes absolutely everywhere right now. I was walking through our neighborhood yesterday afternoon and wished I was The Sartorialist so I could stop people and photograph them to show you. Again, I gave you a wide variety of fabrics here: everything from a very lightweight and drapey silk crepe de chine (at a very good price!) to awning-striped linen, a really interesting crinkled poly taupe with an almost-gold sheen to it, and a very affordable but luxurious poly faille that would be great for dressy situations. 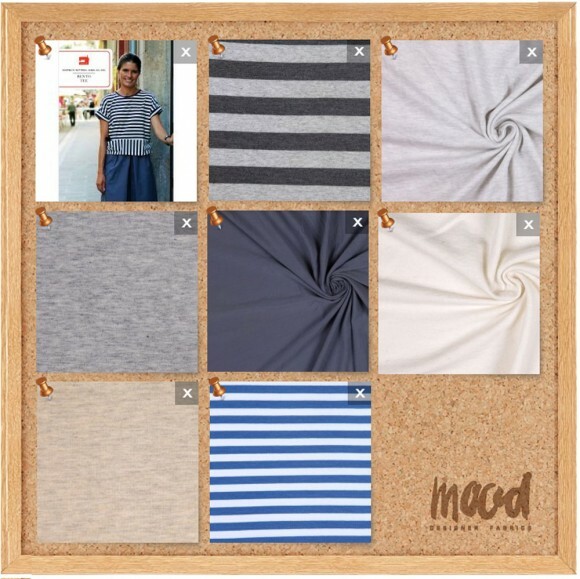 For the Bento Tee, I selected mostly cotton jersey but also a nice wool jersey (which appears to be sold out already! Never fear; they have many other wool jersey qualities you could choose from). I’ve got a real soft spot for heathered knits in winter. Do you too? And finally, the Bistro Dress. That floral charmeuse is incredible and would make such a pretty dress, but being a girl who loves tailored clothing I’m more partial to the wool suitings like the windowpane pattern we used for the cover of the pattern. You could use so many different fabrics for this style, it was hard to settle on just a few for the board. I hope these suggestions help! Let me know if this is useful to you, will you? Mood also has amazing web sales. This is a good store to subscribe to daily posts to get those specials. I love fabric shopping in the city but is does tend to overwhelm. I agree, it is just pleasant and stress free to order via the internet. Ohh, yes, I agree. I have finished the Cinema dress in Chambray. I am very happy with it !!! I love it when you offer curated suggestions! I’ve ordered form B and J before based on your recs and was not disappointed. I just now ordered some swatches from Mood! Thank you!! I also find your suggestions so helpful!